2018 Symposium 20 to 22 July plus extras! Thursday evenings 18th April, 25th April, 2nd May, 9th May at the Clickimin Pool. Meet 7:00 pm on the 18th April at the Loch Bar. There will be time to get changed before we go into the pool at 8:00 pm. Please bring your completed enrolment form and payment with you. If you’ve never kayaked and thought you’d like to give it a go, this is a good way to learn some of the basics before you get out onto the sea. Each week we’ll spend just under an hour looking at safety, equipment and general paddling do’s and don’ts before heading into the pool. At the end of the four weeks you’ll be ready to head outdoors on the sea to put some of what we’ve been doing into practice before getting going with trips. You need to be able to swim and be over 13. 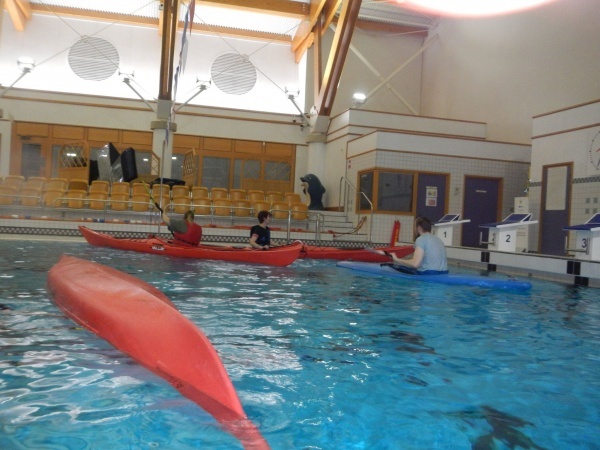 All children under 16 need to be accompanied by a paddling adult.